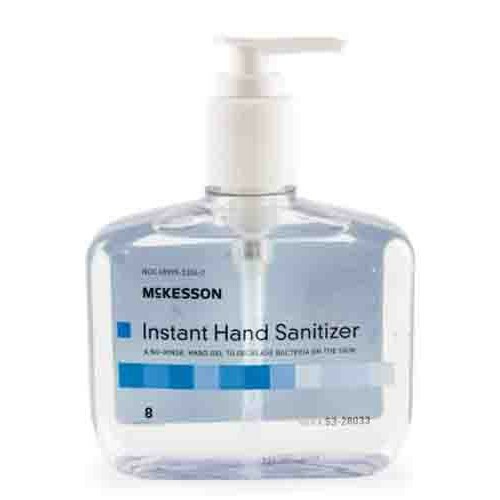 Premium Hand Sanitizers by McKesson are an excellent choice for reducing bacteria on the skin, and in turn, preventing and reducing the spread of disease. They are a quick, convenient, and easy-to-use solution that rubs in quick and requires no water to use. Premium Hand Sanitizers are available in a unique Summer Rain scent. Both formulas contain Vitamin E, moisturizers and emollients to help preven the skin from drying out with frequent use. 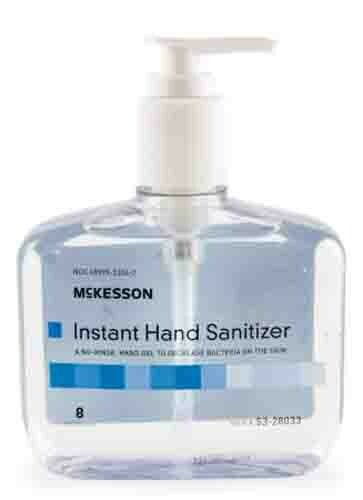 McKesson's Premium Hand Sanitizers are a trusted feature in hospitals and medical facilities all over the world. Vitality Medical knows how important cleanliness and sanitation are, which is why we also carry McKesson's Pre-Moistened Disinfecting Wipes and ConvaTec's Aloe Vesta Bathing Cloths. A No-Rinse, Moisturizing Hand Gel With Vitamin E to Help Decrease Bacteria On the Skin. Designed to Kill Most Bacteria On the Skin to Help Protect Against Cross-Contamination.